Jordyn is the Patient Care Coordinator at Restore SD Plastic Surgery. She will be with you from initial contact through recovery and beyond. Hi, I’m Dr. Katerina Gallus at Restore SD Plastic Surgery. I’m joined by my partner… Dr. Trent Douglas. To talk to you today about patient safety. We are board certified plastic surgeons, committed to the highest level of patient safety. We adhere to the rigorous standards set forth by the State Medical Board as well as our National and Professional Societies – The American Society of Plastic Surgeons and the American Society for Aesthetic Plastic Surgery. We perform surgery only at facilities with the highest level of accreditation and professional standards. Our years of expertise and training allow us to deliver consistently excellent results and provide top notch post-operative care. 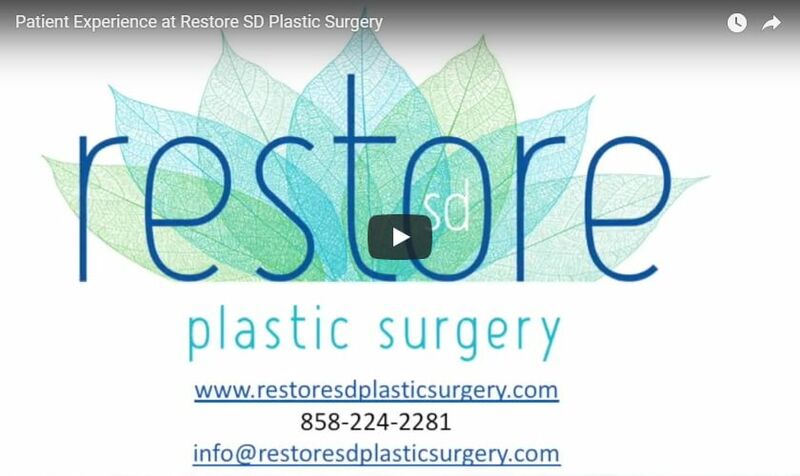 We look forward to meeting and taking care of you at Restore SD Plastic Surgery.